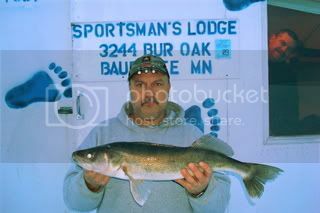 Lake of the Woods South Shore Fish, Ice & Trail - - - 2 messages. Showing 1 through 2. We did the fish house shuffle last week and we are doing it again this week! The whole fleet, 36 houses. The move is onward north. The scouts were out and fish were found, here we go. We are moving deeper to thirty to thrity-five feet of water and looking for a little structure. Many anglers have continued to have luck with catching fish 6 inches, 12 inches, even 5 feet off the bottom. This technique seems to add a few more to the bucket and sometimes even a trophy! The best way for this technique to be successful is to bring along or rent a vexilar or similar electronic device. Start jigging a few inches off bottom, watch the electronics, reel up when a fish is seen on the screen, do a little more jigging and set the hook. Another good tip is to bring along some hot tackle. Lately it has been brightly colored chubby darters, swedish pimples, stop signs and good ol gold jigs. The gold jig is always a favorite here on Lake of the Woods. If you want to catch fish, jigging is important. Sure if you are just out to enjoy the day and fish are a bonus that is fine, sit back and relax. Play some cards, have a beer and sit and enjoy the day, but if your looking for willie the walleye you gotta put a little work into it. A little jigging, few different tackle choices, a vexilar and in no time you my friend are deep into the fish. We currently have a good base of ice on the well traveled areas of the lake, reports of 30 inches is the average. 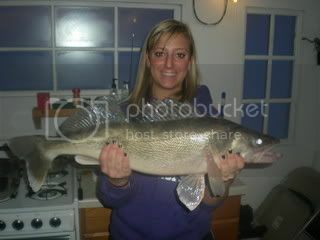 Four Mile Bay has a little less, ranging around 16-20 inches and the Rainy River is around 15 inches. This will give us a good ice base to run right thru March 31. Snowmobilers are loving this mid winter heat wave! The groomers are scheduled to go out tomorrow on their weekly groom. The trail is in good great shape. Our groomer will be running to Oak Island and back and Warroad and back. I understand from the Northwest Angle Snowmobile Club that their groomer has been out as well and continues to maintain the trails around the islands. Book a 2 night 2 day fishing package or better on select dates and receive a $25 off your fishing package and $20 voucher that can be used for food, beverages or gift shop items during your stay! Book a group of 6 and that is savings of $270! Specials start Jan 24, go to www.sportsmanslodges.com for available dates or call 800-862-8602 today. Tahnks for the update, Sportsman's Lodge!